KUALA LUMPUR (Nov 3): Maybank has bagged the Gold Award in the Banking, Investment and Insurance Category for the eighth consecutive year at the Putra Brand Awards 2017 — the people's choice awards, held in Kuala Lumpur yesterday. In a statement today, Maybank said this recognition follows the "Brand Of The Year" (Banking — Malaysia) award, which Maybank won recently at the World Branding Awards in London — the only bank brand in South East Asia which managed to retain this title for four consecutive years. Maybank said the Putra Brand Awards is the highest brand recognition event in Malaysia, identifying brands that most Malaysians favour and trust through a consumer survey methodology. The bank said over 6,000 respondents voted for their favourite brands across 24 categories during a nationwide survey conducted online. The World Branding Awards, meanwhile, is a premier awards programme of the World Branding Forum and is the ultimate global brand recognition accolade. It sees some of the world's best brands recognised for their works and achievements each year in a host of categories. Brands are able to nominate their achievements to the Brand of The Year Awards, which are then judged by a unique system through brand evaluation, consumer market research, and public online voting. Maybank Group chief strategy officer Michael Foong said Maybank was honoured to win the two prestigious brand awards as they reaffirm the value that the bank continues to deliver on all fronts to its stakeholders. 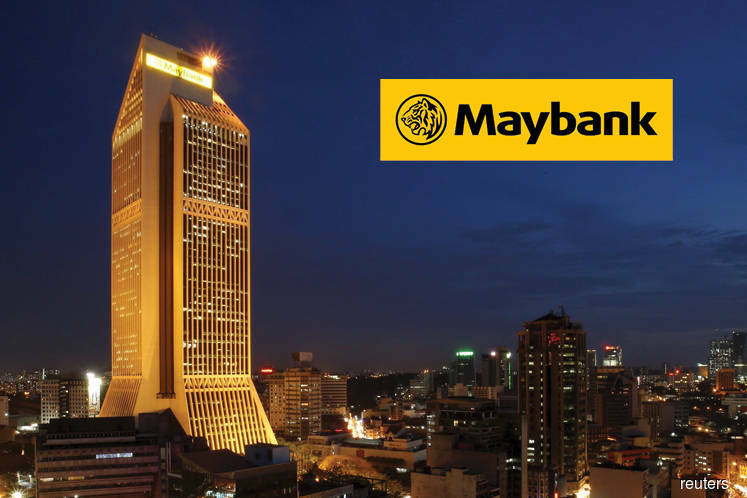 "The awards reinforce our belief that Maybank is moving in the right path through the decisions being made at every level of our business in building our brand value and equity. "As one of the leading banks in ASEAN, we are focused on delivering the best possible experiences to our customers in line with our mission of humanising financial services," he said. Foong said this included not just being able to offer a consistent experience across the bank's network, but also enabling them to benefit from key innovations of the group in both the physical and digital worlds. "Ultimately, our goal is to ensure that we remain relevant to all our stakeholders by continuing to meet their needs and delivering the best brand experience on a daily basis," he said. Foong said the group's efforts were also validated by the BrandFinance® Banking 500 League Table Report 2017, which recently named Maybank as the Most Valuable Bank Brand in Malaysia with a brand value of US$2.548 billion. He said it was also the only Malaysian bank with AAA- brand strength rating and in the Top 100 Global Bank Brands Club. At 12pm, Malayan Banking Bhd fell 0.22% or 2 sen to RM9.23 with 2.44 million shares done.